Happy! 節約生活 in アメリカ: Chick-fil-A: Free Meal if You Dress like a Cow on 7/12! 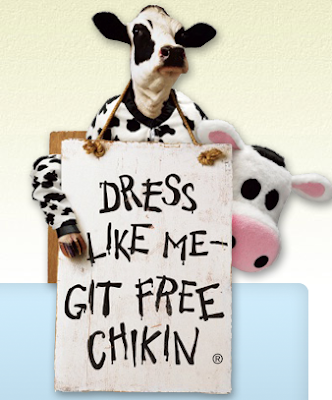 Chick-fil-A: Free Meal if You Dress like a Cow on 7/12!